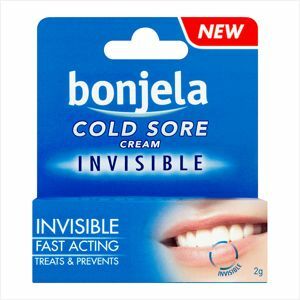 Bonjela Cold Sore Cream is an effective way to treat cold sores and prevent them reoccurring. Herpes simplex can be painful, burning, or itchy blisters on and around the lips. UV-Active™ creates a protective film layer on the skin cells of the cold sore and prevents attachment of virus particles. The product can be used by Adults, children aged 4 years and older and diabetics. Wash your hands before and after each application of Bonjela Cold Sore Cream on the infected area. Squeeze the bottom of the tube to push the cream out onto one fingertip. Gently apply a thin layer of cream on the cold sore. Repeat at least 4 times per day or as needed until the cold sore completely disappears, within 4-5 days. Please read the leaflet for full details. Replace the cap firmly after use. If you are taking any medication and are unsure please talk to a doctor or pharmacist. You should not use the cold sore cream if you are allergic or sensitive to any of the ingredients. Do not use after the expiry date. For Expiry date see flap of carton.